. 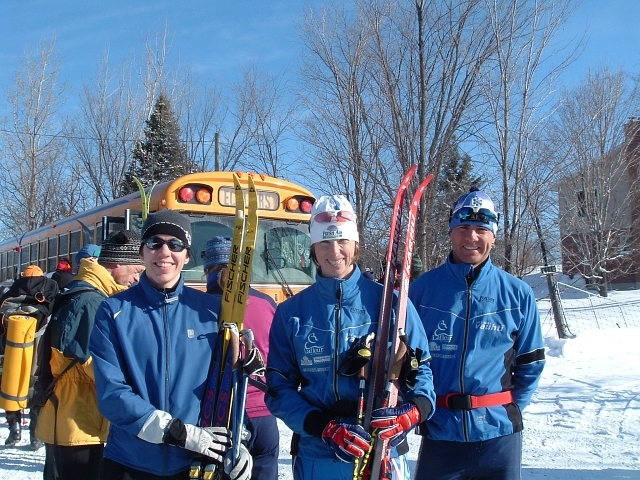 : Old School Event Report :The Nakkerloppet :: Ski XCOttawa.ca :: Skiing in Ottawa and Gatineau Park :. The Nakkerloppet took place on Sunday and it was incredible! 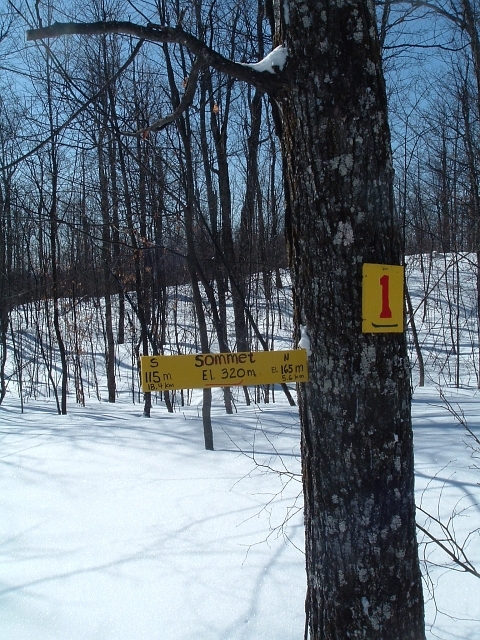 These days, the Nakkerloppet is an organized point to point tour from legendary Nakkertok North to the more frequently used Nakkertok South along the very special Nakkertok Trail #1, which is one of two trails (the other one being the equally fun #3) which connects the North and South trail networks. The total length of the trail is in the area of 25kms. 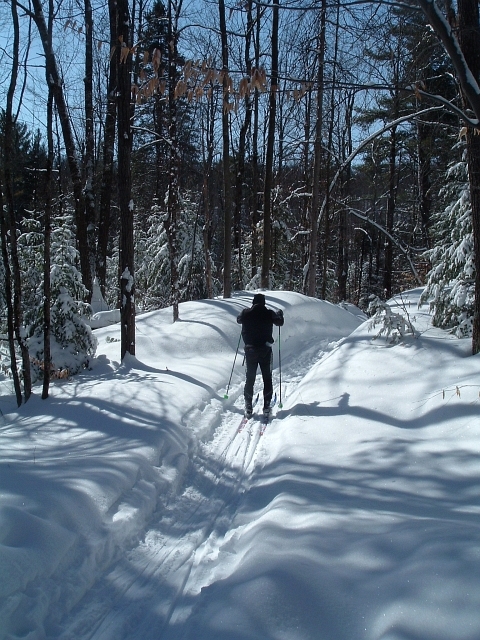 While members are welcome to take on these trails at any time, for the Nakkerloppet SOME grooming usually takes place, making the trip considerably faster than it would normally be. The route is interesting, challenging and spectacular to say the least. 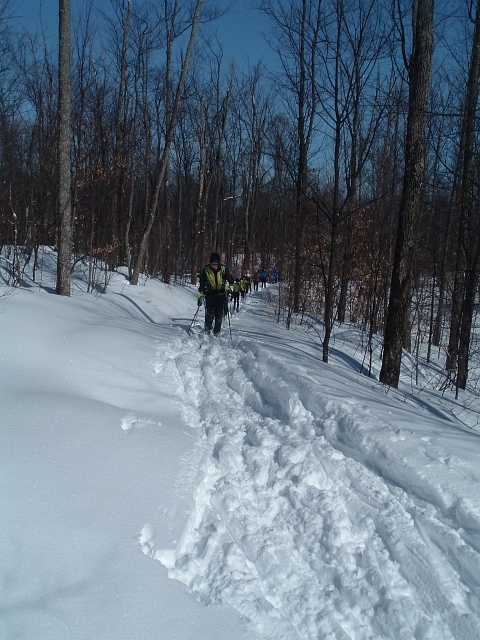 It begins with one of the longest possible climbs in the Ottawa area to the summit of Nakkertok (see attached photo). Following this are a series of downhills that challenge even the most skilled of skiers. Many opportunites for "big air" exist. The horde of Nakkertok junior skiers took full advantage of this fact. XC Ottawa representatives entered the "big air" contest but were, sadly, outclassed. We did manage to get a ski pole all the way through the snowpack and well into the dirt though. The trail is rolling and windy from there on in, with a special focus on the characteristic of narrow, which makes for some great skiing and tree dodging. 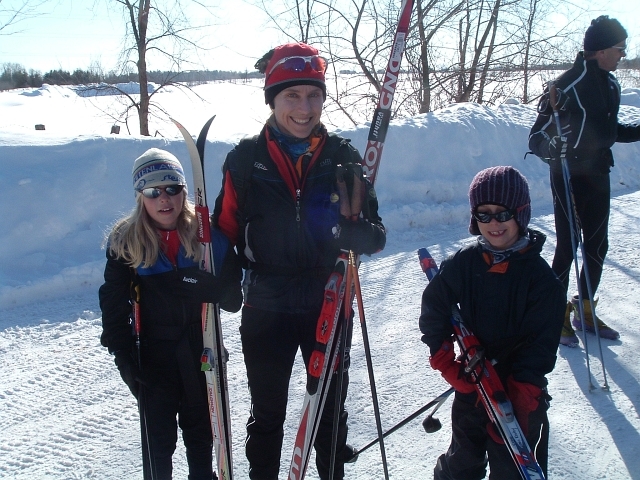 While I am not an expert on the history of the Nakkerloppet, I know that it is one of the oldest events in the region, and at one time was one of the "Major" races on the Ottawa area calendar. It was major in more ways than one. "Major" amounts of equipment were sometimes broken, and "major" amounts of fun were usually had. 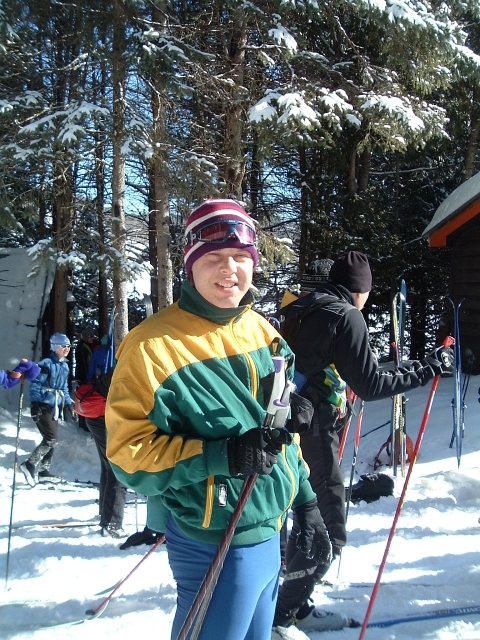 It has a list of winners including some very accomplished and well known skiers, including our own coach, John Suuronen. While no longer a race, this great event remains something noteworthy. This year's incarnation was characterized by beautiful weather and a grooming situation which added to the adventure. 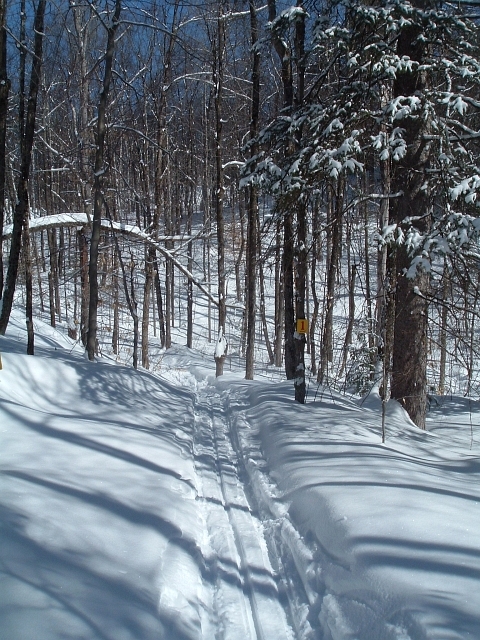 The first 13kms had been packed in previous weeks, but the most recent snowfall was basically untouched (owing to an unfriendly tree stump's dislike for the groomer), providing a fun "backcountry" start. 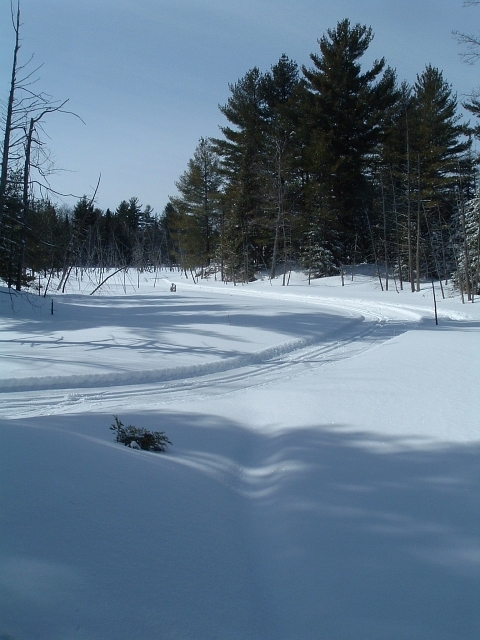 The second 12kms were expertly track set to the normal, but high, Nakkertok standards. The oldest Nakkertok jacket on site: Aaron Hobbs.